Truly elegant double strand of Miriam Haskell glass baroque pearls, seed pearl spacers, rhinestone balls connect a hand-wired filigree centerpiece which features smaller baroque glass pearls and rhinestones, large oval glass mobe pearl, glass teardrop pearl with hand wired seed beads; earrings “Original by Robert,” Designer Robert Levy, shades of amethyst rhinestones, glass pearls and aurora borealis crystals. 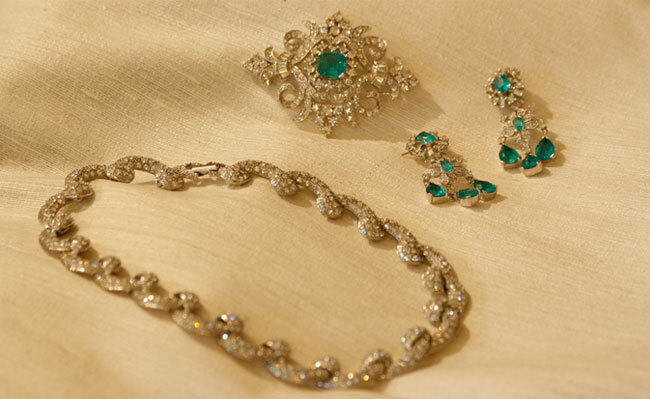 In the tradition of Cartier and the great luxury jewelers of the 20th century, Jomaz pin and earrings, beautifully simulated gems of “flawed emeralds” and rhinestones; pave necklace, unsigned Boucher, completely jointed, with beautiful sparkle. 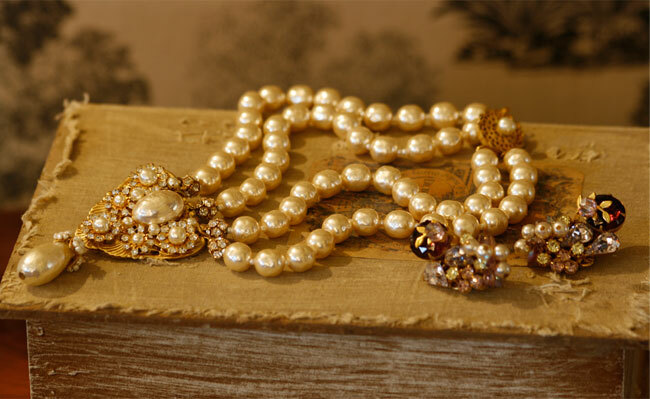 Miriam Haskell glass baroque pearl necklace and earrings. 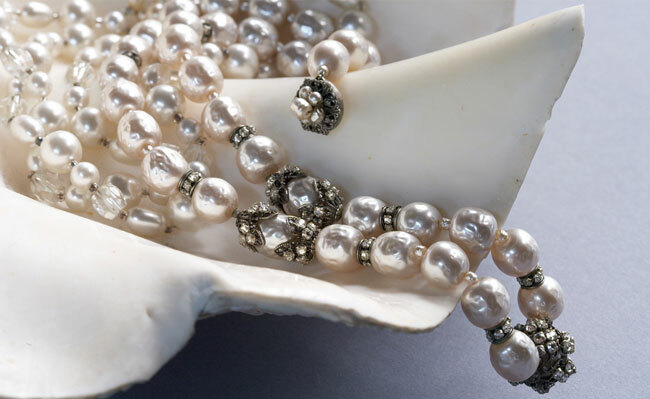 Miriam Haskell glass pearl necklace with hand-wired filigrees. 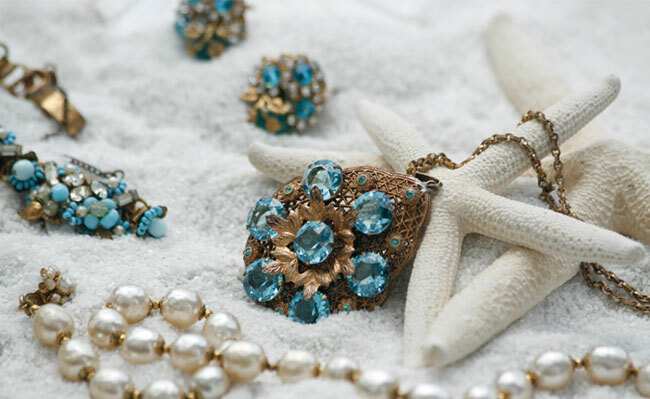 Filigree pendant with blue topaz rhinestones; Miriam Haskell earrings of glass seed pearls, blue crystals and brass findings; Single strand of large silk-ivory Miriam Haskell pearls with brass caps and separators; turquoise glass bead and pearl bracelet with rhinestones and brass filigree. Hattie Carnegie pin with huge aurora borealis rhinestone; Miriam Haskell earrings; unsigned aurora borealis rhinestone necklace and memory wire pearl bracelet. 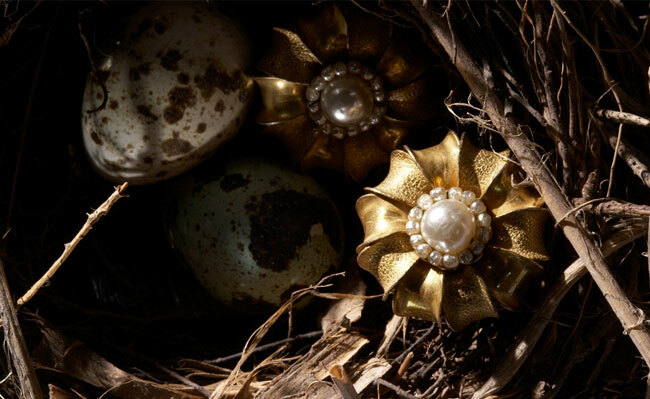 Carry the photos of loved ones: Miriam Haskell in the Garden is an assortment of lockets; Memory wire bracelet with beautiful pearl and rhinestone detail; brooch with glass mobe pearl and hand wired glass seed pearls. 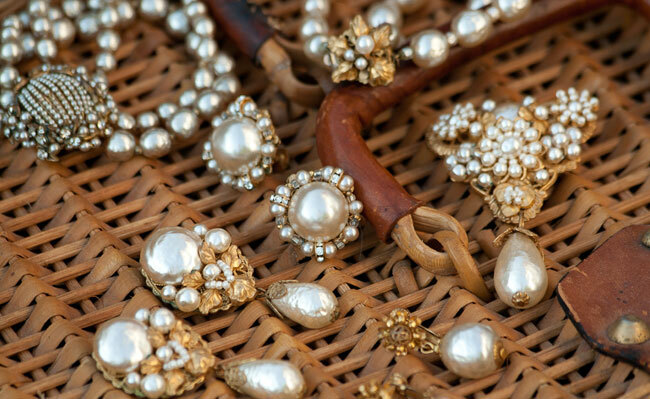 56” of grey-cream Miriam Haskell baroque pearls; Trifari bracelet of chaton and marquis rhinestones; Miriam Haskell “snowflake” earrings of grey-cream mobe pearls and rhinestones—gorgeous! 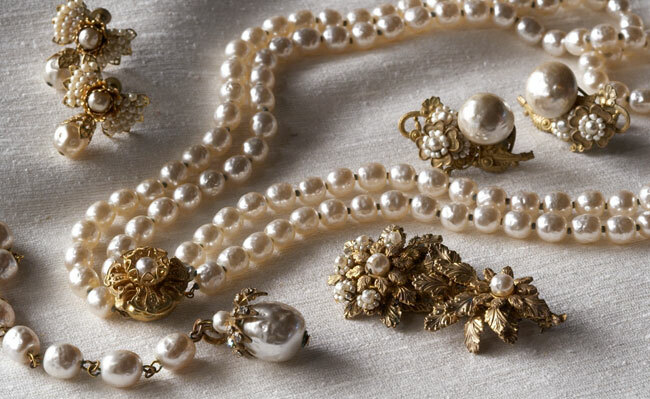 An assortment of Miriam Haskell glass baroque pearl bridal jewelry. 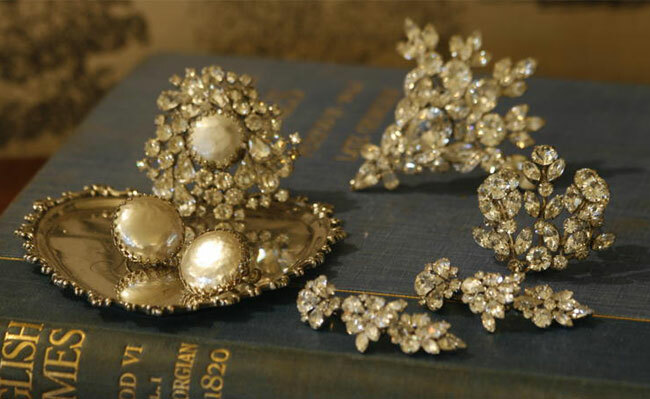 A collection of rhinestone jewelry from the finest American designers of the mid 1900’s: Napier exquisite jointed runway earrings; Kramer pin with “lifts;” large Eisenberg Ice “fan” brooch; Weiss pear and chaton brooch with large mobé pearl in a saw tooth setting; Miriam Haskell huge glass mobé pearl earrings. 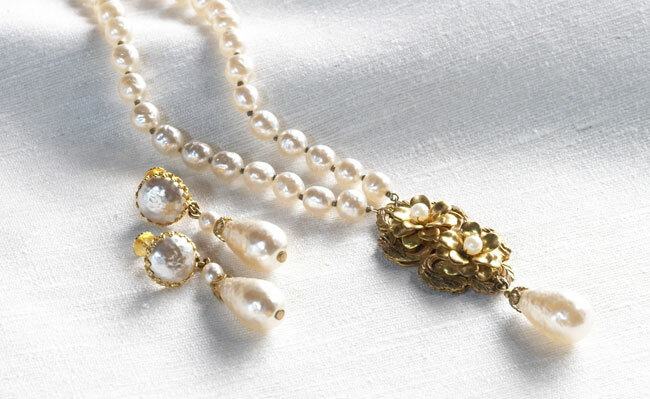 Reflecting on the subtle beauty of pieces from the past, 16 strand Miriam Haskell champagne glass pearl torsade with her signature hook hand-wired with seed pearls. 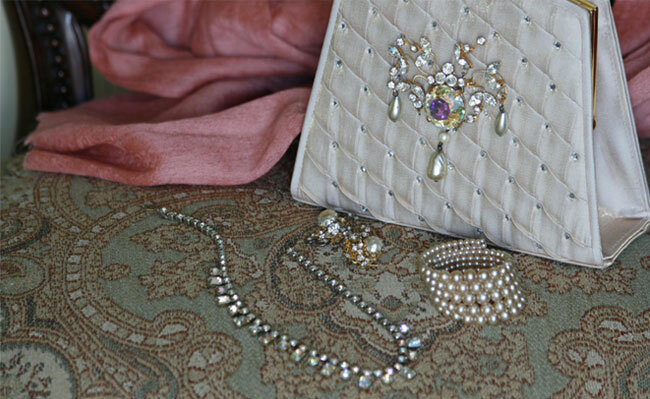 Sherman rhinestone pin and beautifully jointed necklace, made from the finest Austrian crystal. 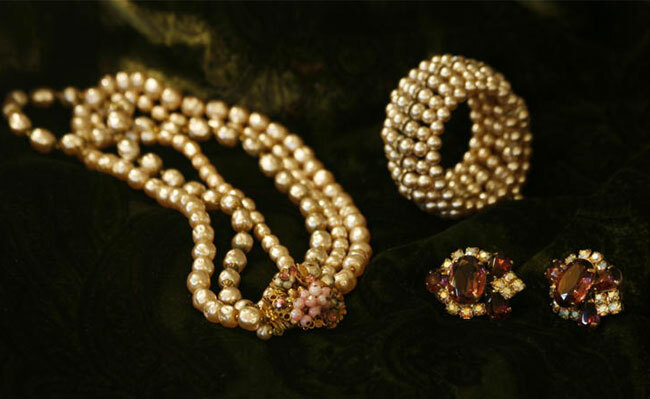 Necklace by Robert Levy, features baroque glass pearls with brass caps and spacers feature a hand-wired clasp of pink glass beads, seed pearls and rhinestones; Julianna earrings of aurora borealis rhinestones and rose crystals; memory wire bracelet with rhinestone rondelles. 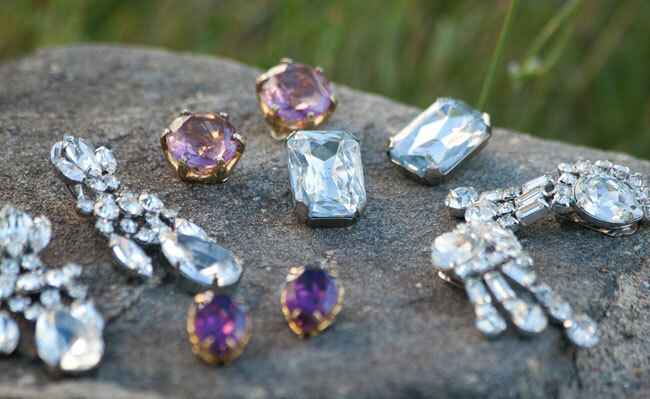 The Something Old Collection is a unique assortment of mid-century costume jewelry from the most notable designers of The Golden Age of Costume Jewelry. 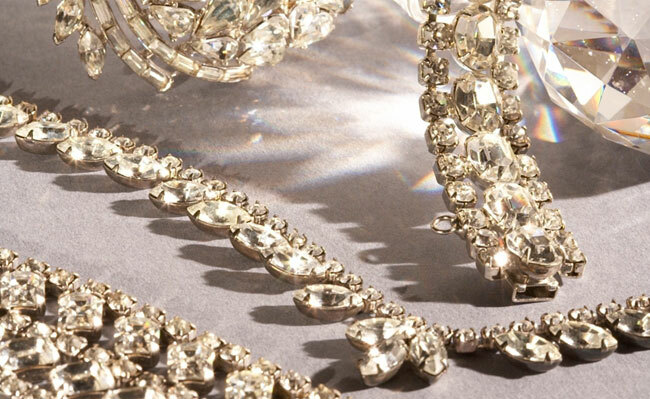 The collection evokes the timeless glamour and romance of Hollywood royalty, Fifth Avenue boutiques, and Parisian fashion. 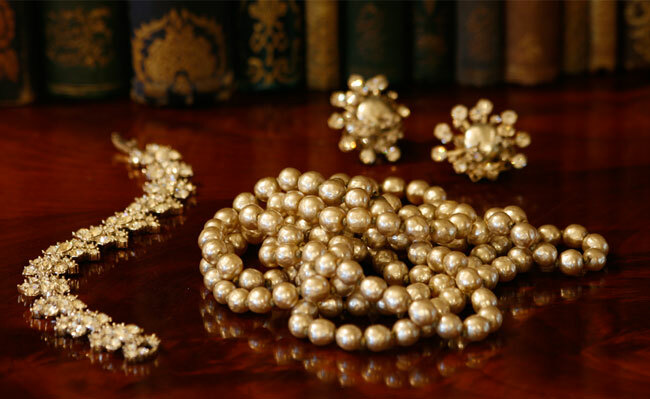 The Something Old Collection is about the subtle beauty of a cherished era brought into the twenty first century with a modern perspective for today’s brides. 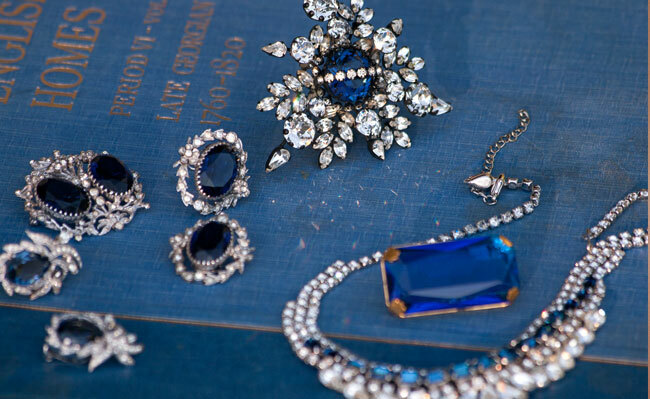 These exquisitely designed and constructed creations blend the best of two periods with an alluring and fashionable relevance that all brides wish for their gowns. 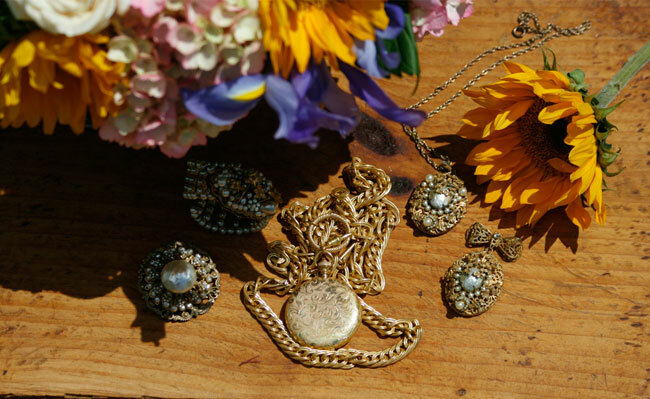 Assembled by a professional fashion stylist with a background in antiques, The Something Old Collection is continually evolving as beautiful pieces of good design and high quality are found and added. 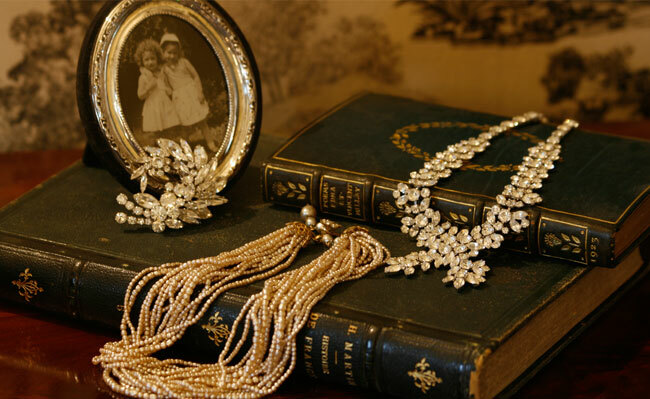 As we accessorize a bride we say “matching—never, goes with—sometimes, COMPLEMENT—always!” Make an appointment today, bring your dress if you can, and experience Something Old for the modern bride!